We at Fall Prevention Training Services, LLC wants to be one of your very best resources to help you reach new clients, broader markets and expand your fall prevention training business. In keeping with our mission and desire to stem the epidemic of serious falls related injuries, we have established a Support Program. Certified specialists in the Six-Step Balance SystemTM can have their classes, presentations or follow-up support meetings listed on our website along with your contact information, flyers, other data or links you desire. Certified specialists will also receive referrals of potential clients that contact us looking for classes, presentations or follow-up support meetings in your region that may not know you or how to reach you. 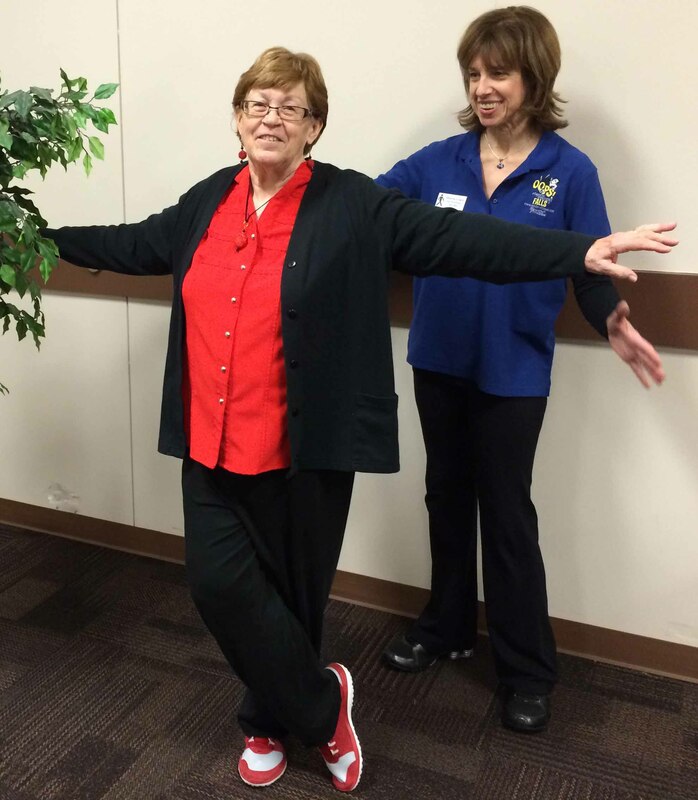 Shown here is Master Trainer Sharon Claye (right) working with her recent Instructor Trainer graduate Virginia B. (left) of Belleville, MI. 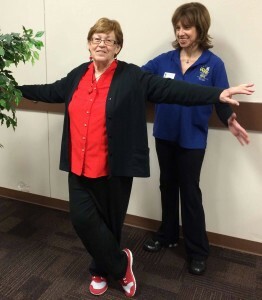 Virginia graduated from our Instructor Training held in Birmingham, MI in February 2015 and is already scheduled to teach 6 Steps to Better Balance classes at the Sumpter Township Senior Center, Belleville, MI. For more information on the Support Program please fill out the form below.